Diono&apos;s RadianRXT car seat is marketed as the "only car seat your child will ever need", and they aren&apos;t kidding. This is by far the most versatile and premier car seat on the market. Your child will safely and comfortably fit in this car seat from birth (5 pounds) to when they outgrow the need for a booster seat (around 8-10 years old). It rear-faces from 4-45 pounds, front-faces from 20-80 pounds in a five-point harness, and then converts to a booster for children up to 120 pounds. It&apos;s backed by Diono (formerly Sunshine Kids), the company that has earned the highest safety ratings compared to any other car seat manufacturer and all of whose car seats exceed federal crash safety standards. Safest on the market, comfortable, easy to install, and versatile: what more can you ask for in a car seat? Your child’s safety is at the heart of everything we do. That’s why we engineer our car seats to be the strongest and safest possible and to test them to the highest standards. After all, we’re parents too. 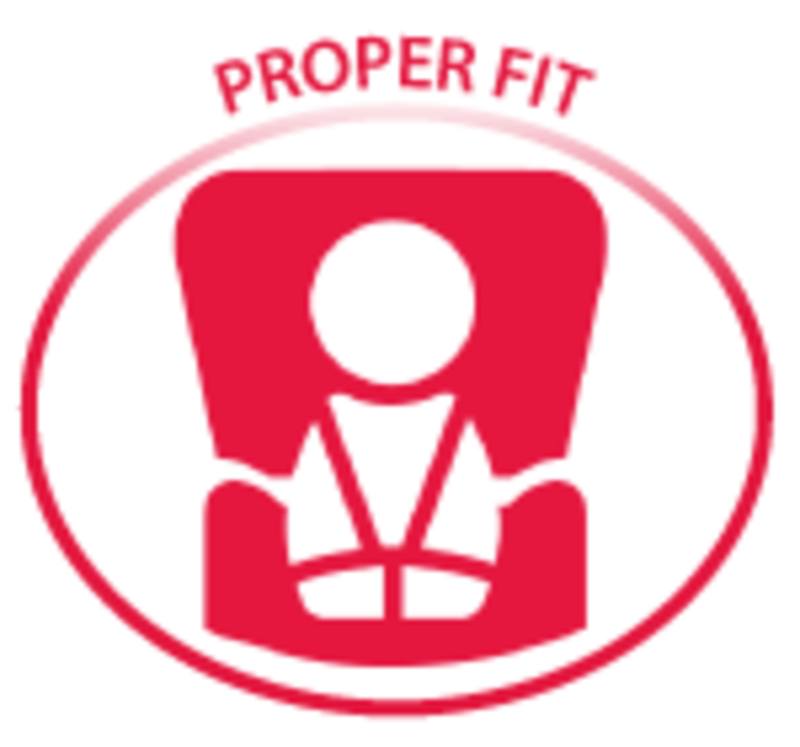 Diono car seats exceed federal crash standards and consistently achieve the highest ratings in the industry. 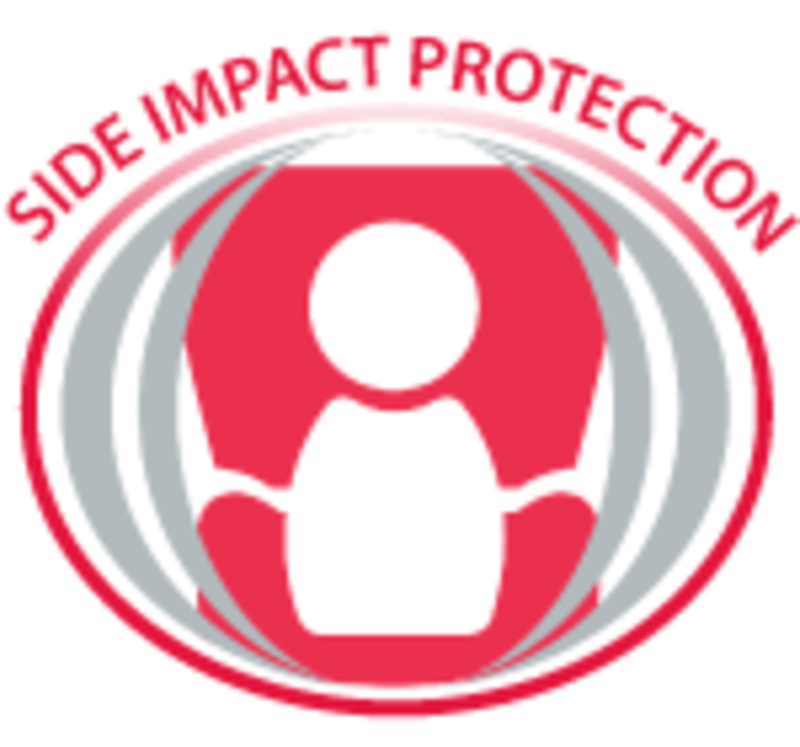 Our car seats are side impact tested and NCAP tested. Diono is the only car seat maker to reveal our crash test results. Please visit our Safety Center to review crash test videos and test results. Fully adjustable and a perfect fit for every stage of your child’s early years, Diono car seats are super comfortable, easy to install and last for ten years. With features like deep sidewalls and energy absorbing foam for side impact protection, high-weight LATCH, and the highest rear facing and forward-facing capacities, Diono car seats are the ultimate in safety, comfort and convenience. No other car seat compares. 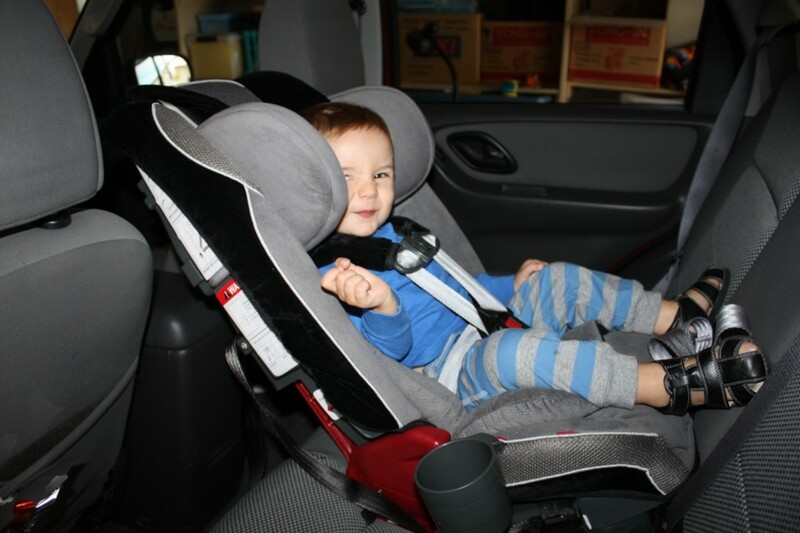 The RadianRXT can be used rear-facing from birth (5 pounds) and has the highest rear-facing weight limit of all car seats on the market (45 pounds). Given the statistics we&apos;ve all seen about how children who rear-face are 75% less likely to die or be severely injured in a crash and have a greatly reduced change of suffering severe spinal cord injuries, I fully support keeping children rear-facing as long as possible. The AAP currently recommends that children rear-face until at least two years of age, which is made possible thanks to the high rear-facing weight limit of car seats like the RadianRXT. When Ben was born, I always had a hard time envisioning how big he&apos;d be at his first or second birthday, so for those of you with teeny-tiny infants or one on the way, the average weight of a two year old ranges from 22-35 pounds. If you plan to rear-face past your child&apos;s second birthday (and I hope you do! 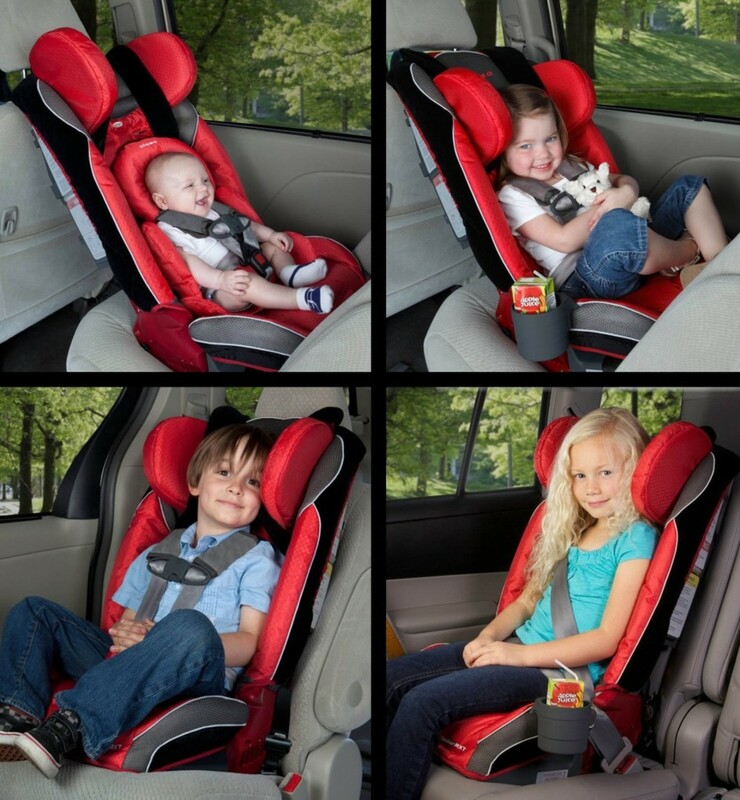 ), the RadianRXT may be the perfect car seat for you. Diono truly blows away the competition here; their competitors have 30-40 pound weight limits on the rear-facing configuration. The rear-facing mode on the RadianRXT allows for the perfect recline angle for small babies without head control, and the car seat comes with infant body and head support cushions to ensure your little one is securely and safely snuggled into his car seat. 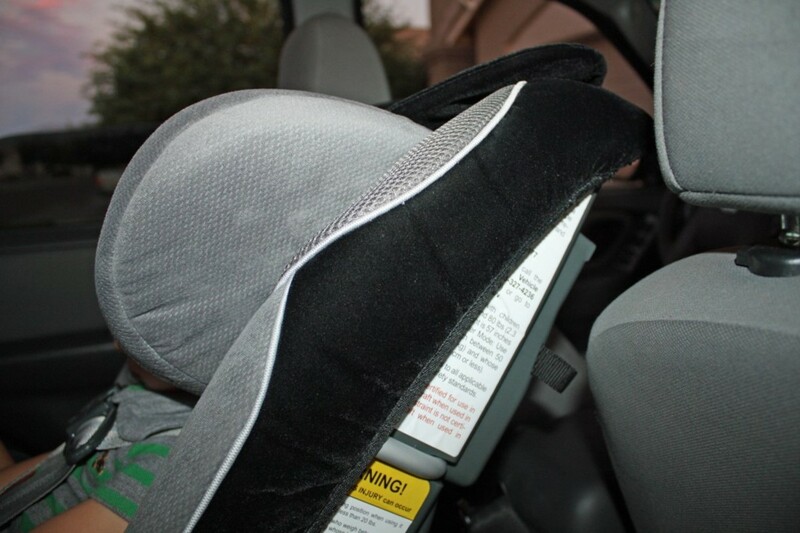 If you plan to use this seat for your newborn or infant without head control, make sure that it fits in your car without the use of Diono&apos;s foam angle adjuster so that your child is in a reclined position. For an older rear-facing infant, the angle adjuster works perfectly to position your child in a more upright position, and also allows the carseat to fit rear-facing in smaller-size cars. The RadianRXT in the eco-friendly "Storm" color. For example, in my Ford Escape, the RadianRXT fits perfectly (without the angle adjuster) in the middle of the backseat. However, it requires the angle adjuster to fit properly in either of the side seats. 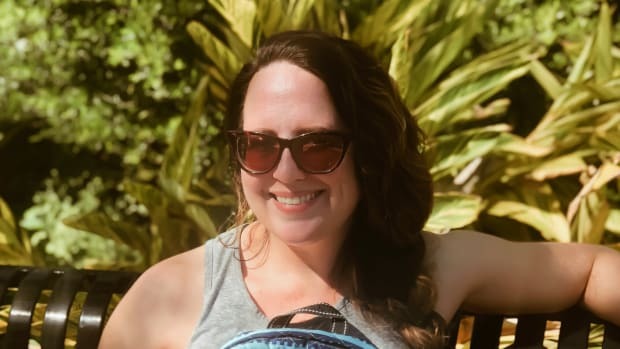 My husband drives a Chevy Cobalt with a very narrow back seat; the car seat fits rear-facing in the middle of the Cobalt&apos;s backseat with the foam angle adjuster, and can only front-face in either of the side seats. Regardless of what car seat you use for your child, you must make sure that it fits properly in your car. Most baby boutiques and some big box stores will help you install a car seat in your car before you make a purchase, and I highly recommend you utilize this service. In addition, many local fire stations have certified car seat technicians who will teach you how to properly install your car seat in your car. Here the RadianRXT is rear-facing in the middle backseat of my Ford Escape. Plenty of clearance for the RadianRXT to rear-face in my Ford Escape. So what do you do when your baby outgrows the need for a headrest? Simply detach it from the body support cushion. Continue to use the body support cushion until your toddler outgrows it. And when your older child wants a little more room to get comfortable, simply expand the sides of the seat cushion. This car seat truly grows with your child. It&apos;s generously padded with memory foam for comfort, and my son seems to love sitting in his car seat, even for long trips. The plush body support cushion is the perfect size for toddlers. The RadianRXT is one of the slimmest and least-bulky car seats on the market. 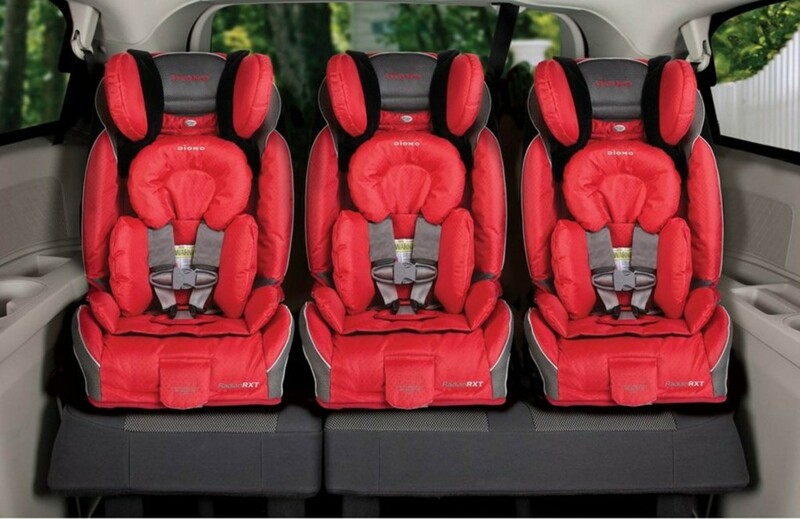 It is the only car seat that can fit three across in the backseat of a midsize vehicle, making it a godsend for parents with multiples or with several young children in car seats or boosters. Did I mention that this car seat can fold flat for travel or storage? Oh yeah. 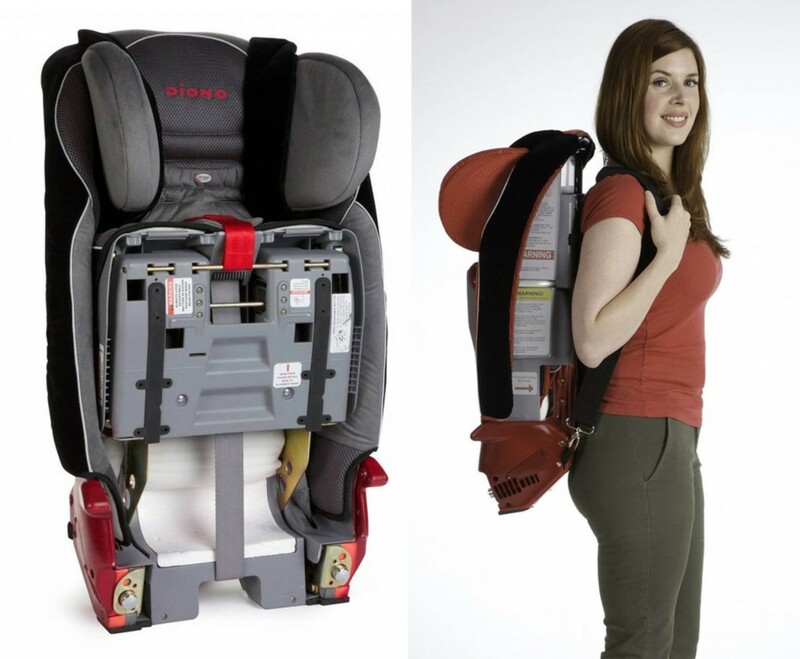 And if you purchase an extra carry strap, you can wear the carseat like a backpack. I&apos;m not going to lie: at 24 pounds, it&apos;s not light, but I&apos;ll travel with a car seat that folds flat over a big, bulky one any day of the week. The RadianRXT&apos;s head support can be adjusted to 12 different heights in order to perfectly fit your child and keep him as safe as possible in the event of a side-impact collision. The head support is reinforced with aluminum and lined with thick, energy absorbing EPS foam provide excellent side impact protection. You can see Diono&apos;s side-impact head rest in action here. The steel alloy frame, aluminum reinforced sides, and EPS energy-absorbing foam are major contributors to the RadianRXT&apos;s excellent safety ratings. In an age when many car seats are made out of plastics with or without a few basic metal reinforcements, I like knowing that my child is protected by steel and EPS energy-absorbing foam. Another safety feature is Diono&apos;s patented SafeStop energy-absorbing harness system. 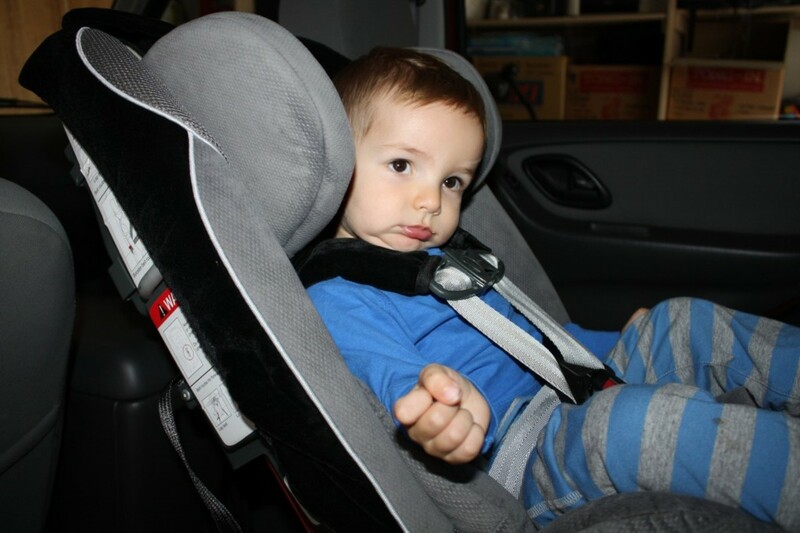 For front-facing children under 40 pounds, simply connect the SafeStop attachment at the back of the seat. 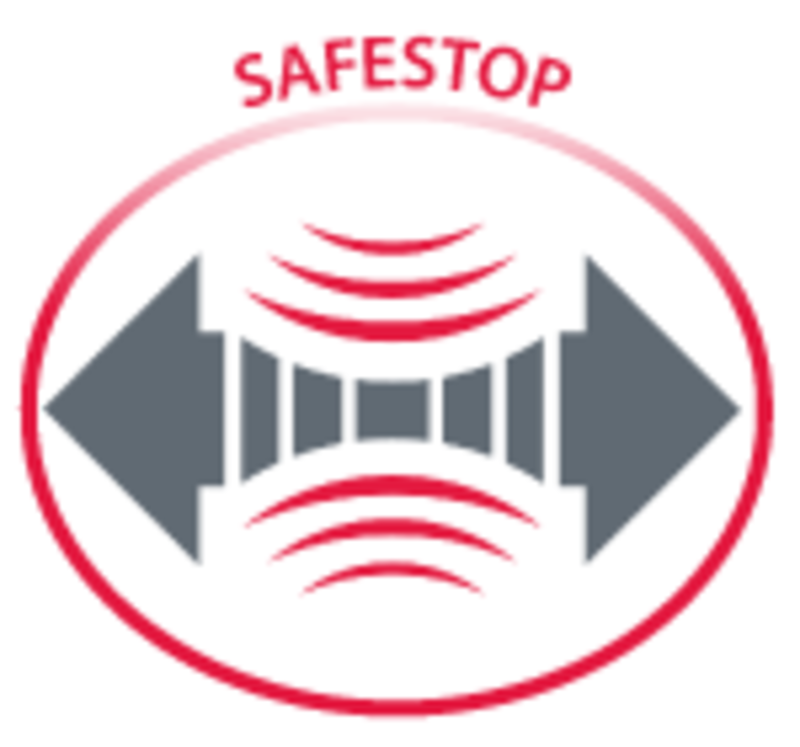 In the event of a collision, the SafeStop attachment absorbs some of the force of the crash so less is exerted on your child. The car seat comes complete with a tether system that can be optionally used for rear-facing children (and is required for front-facing). 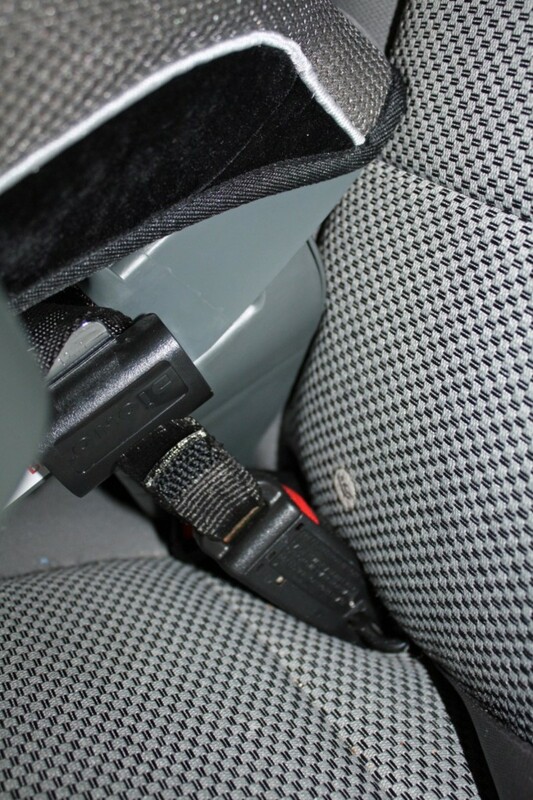 The tether system helps prevent the car seat from rotating in the event of an accident, and it really helps the seat feel very securely installed. I can&apos;t imagine using a convertible car seat without a rear-facing tether. 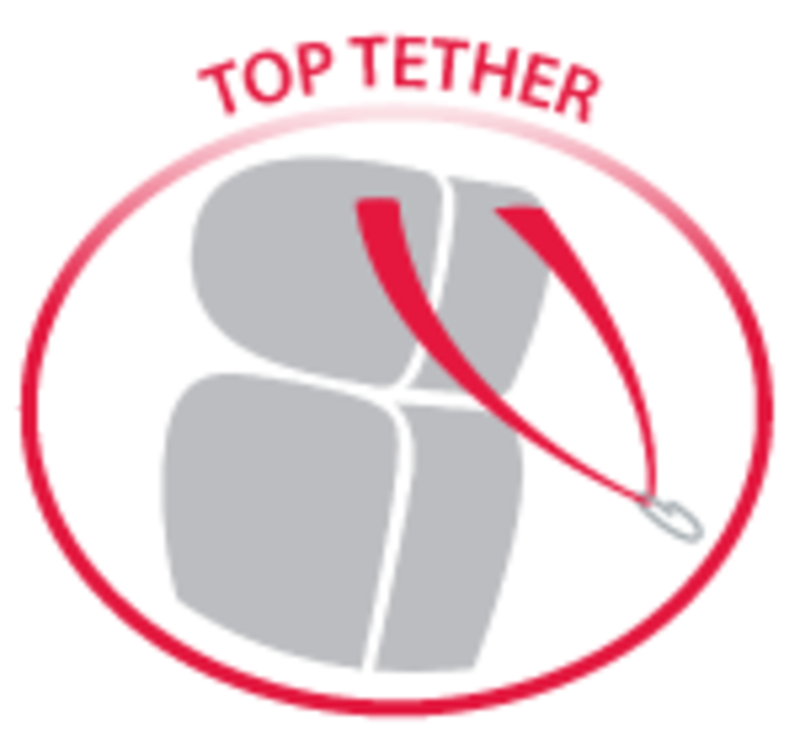 The rear-facing tether in action. The car seat feels very securely installed with the tether in place. 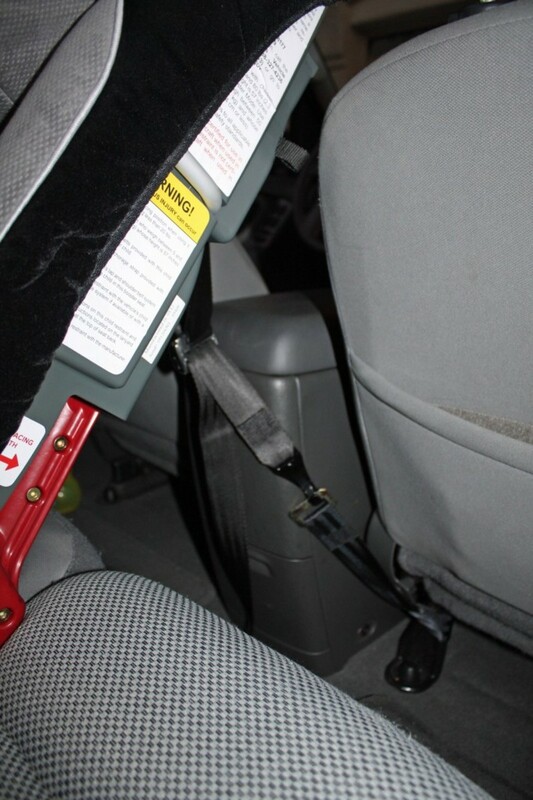 The RadianRXT is the only carseat rated for LATCH use for children up to 80 pounds. In fact, it uses the unique SuperLATCH system, which makes it even easier to install. 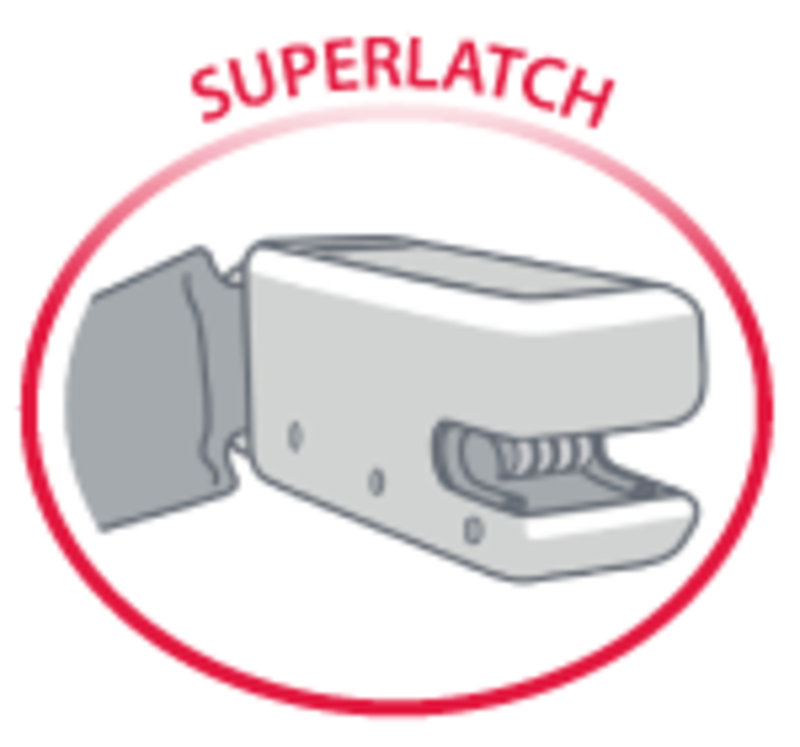 When the SuperLATCH is properly attached to your vehicle, you will hear an audible "click". Removing the seat from your car is as easy as pushing the release button on the SuperLATCH. The SuperLatch connects to the Latch hooks in your car. 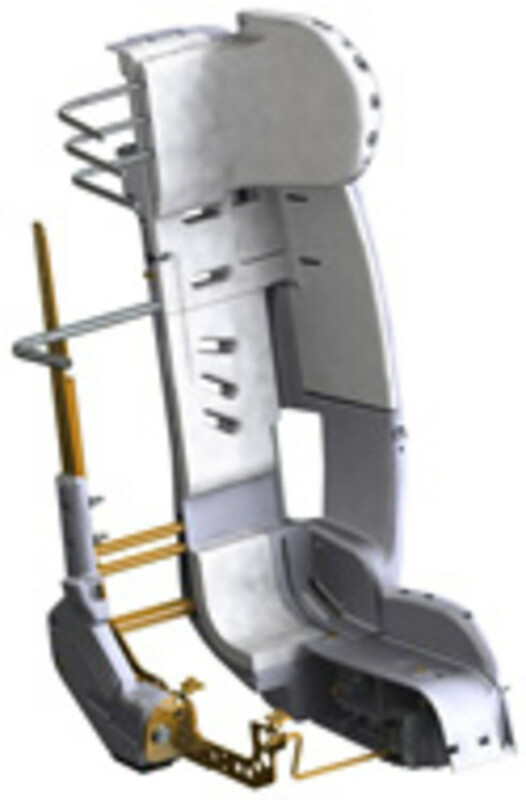 The RadianRXT can also be installed with a seat belt (lap or shoulder). The RadianRXT&apos;s five-point harness system has five different shoulder-height adjustments and three different buckle adjustments to ensure your child fits securely in the car seat. 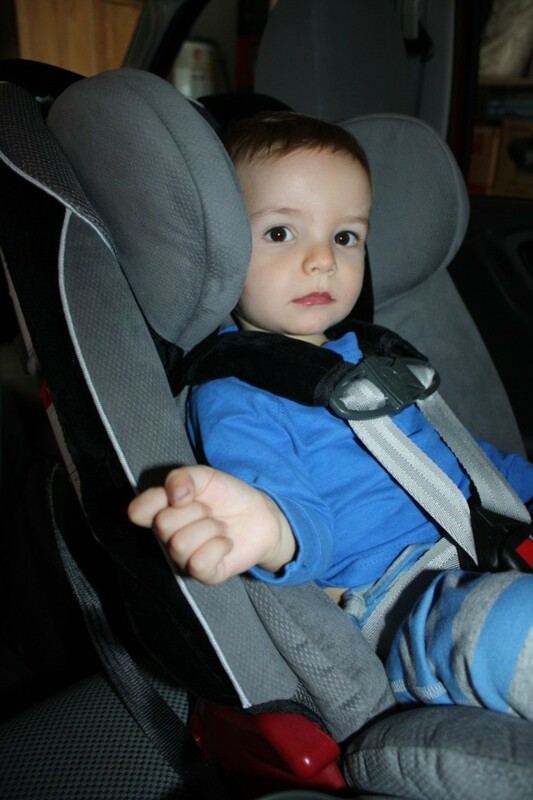 I adjusted the straps to different heights and found it quite easy to feed them through the slots, much easier than in the infant car seat we previously used. The cover can be easily removed for washing. 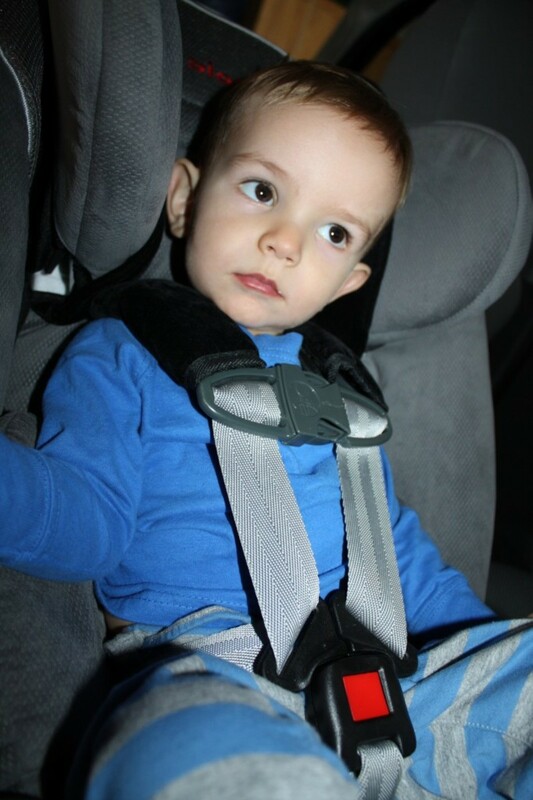 The Five Point Harness can be easily adjusted to perfectly fit your child. One thing I really love about this car seat and Diono in general is that they have published all of their crash test videos and results. They also have car installation videos for each step of the installation process, because the safest car seat on the market is only the safest when it&apos;s properly installed. After reading through the manual and watching a few videos, I felt very confident installing the car seat for the first time. And when I had a question about the rear-facing tether, I made a quick phone call to Diono and was immediately connected to a helpful customer service representative who spoke English and was able to answer my question. Diono (formerly Sunshine Kids) has always ranked very well on HealthyStuff.org&apos;s car seat findings, in which seats are tested for harmful chemicals such as PVC, Brominated Flame Retardants (BFRs), heavy metals, and other toxins that are linked to reproductive problems, developmental and learning disabilities, hormone imbalances and cancer. 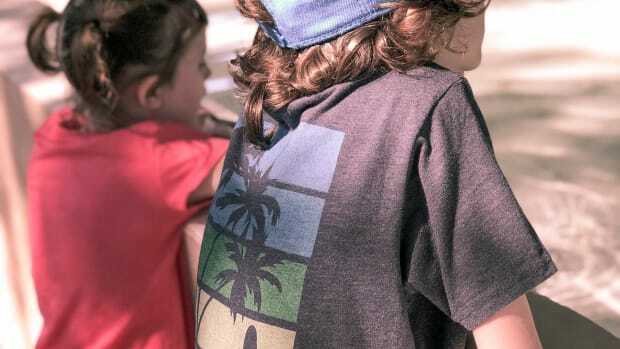 All Diono products comply with US, European, and Canadian regulations regarding toxic substances such as phthalates, bromides, bisphenol-A (BPA), cadmium and lead. In addition, Diono recently introduced two BFR-free fabrics: Storm and Rugby. These fabrics are inherently flame-resistant and are not treated with any flame retardants at any point in the manufacturing process. 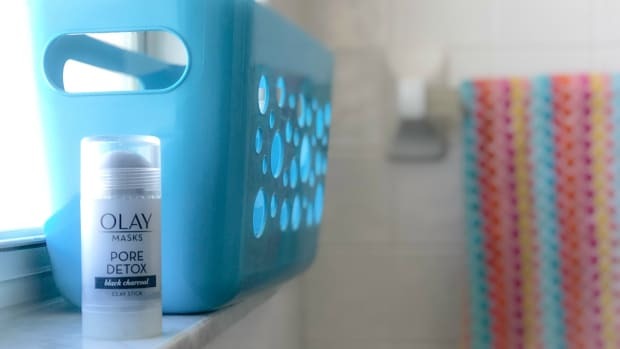 This was a major selling point for me and solidified my decision to use the RadianRXT for my son. You can learn more about Diono on their website or by following them on Facebook and Twitter. To Buy... The RadianRXT can be the only carseat your child will ever need, from birth until she outgrows the need for a booster seat. It&apos;s the safest on the market and is side-impact and NACP-tested, folds and converts to a backpack for traveling, is super comfortable and easy to install, and is backed by Diono&apos;s excellent customer service. Additionally, it&apos;s one of the only car seats on the market with an option for fabrics that have not been treated with BFRs. 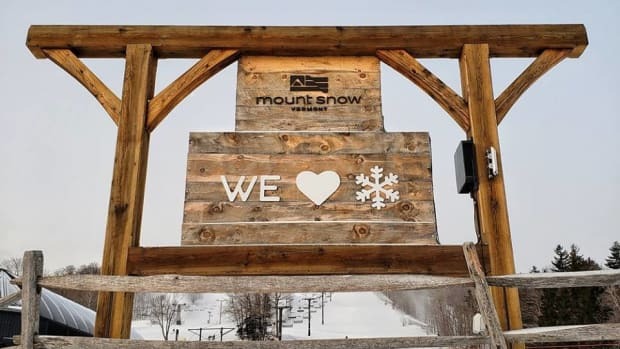 What&apos;s not to love? Not to Buy... With a retail price tag of $340, Diono&apos;s RadianRXT is in the mid-upper price range of car seats on the market. However, when you consider that it&apos;s the only seat you&apos;ll ever need to purchase for your child and all the amazing safety features, the price tag isn&apos;t as hard to swallow. Plus our affiliate Amazon and other online retailers regularly carry the RadianRXT for closer to $240 - $260, making it a deal you can&apos;t possibly pass up. Since this is a convertible car seat, you can&apos;t take it out and connect it onto your stroller like with an infant seat. Many parents prefer using a convertible car seat because it causes them to carry the baby in a sling or other carrier, allowing for more bonding time between parent and child while shopping and running errands, but it&apos;s really a matter of personal preference. Even if you use an infant car seat and then transition your child to the RadianRXT when he&apos;s outgrown his infant seat, this car seat is still a great purchase and will get many, many years of use. Shop! Available from our affiliate Amazon for $240 - $260 (depending on color) and from Diono&apos;s network of trusted retailers. Win! 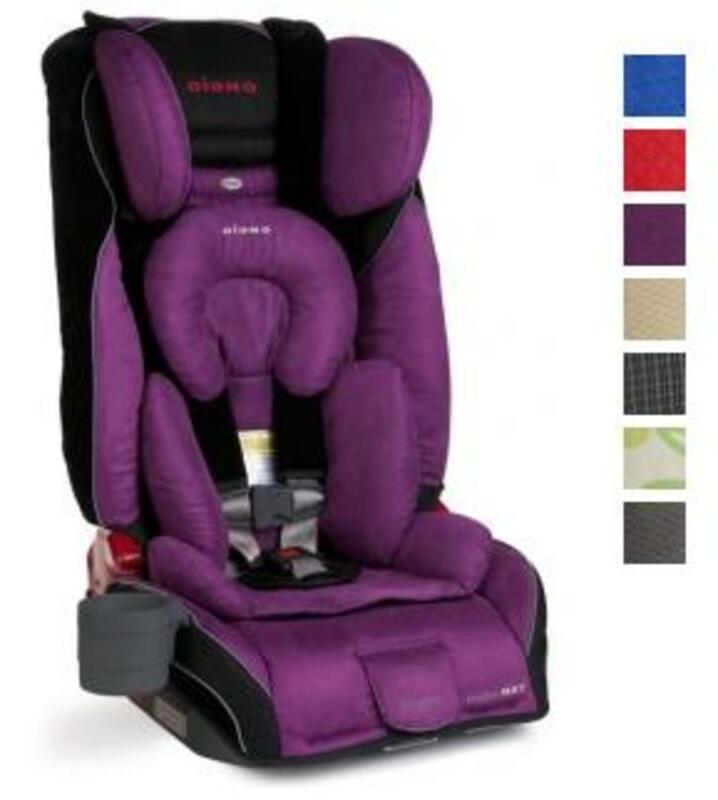 A Diono RadianRXT Car Seat! 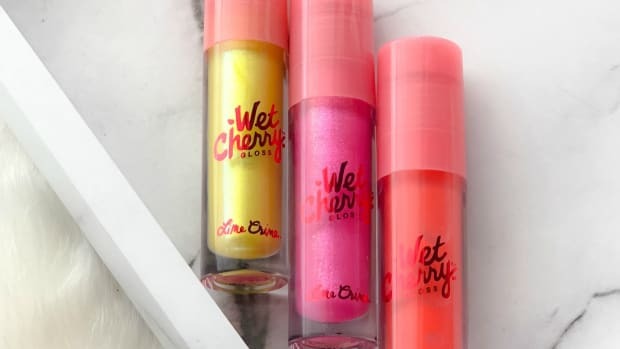 Giveaway ends December 14. Open to US and Canadian mailing addresses. Thanks to Diono for providing a sample for review and the giveaway prize.